Company Profile Zecchetti Srl is a Co. founded in 1960 counting 110 employees oranized in the activities of design, production, sale, assembling and after sales. Zecchetti manufactures “turn-key” systems and supplies “tailor-made, 100 made-in Italy” solutions. The Zecchetti installations are present in over 90 different countries worldwide. Zecchetti proposes as supplier of “integrated logistic”. The production range includes Vertical Automated Warehouses and Stacker-Cranes as well as the relevant control software interfacing with all the Company ERP. The Mission is: Deliver real “goods-to-person” logistic solutions, that are unique and tailored to Customer’s need. 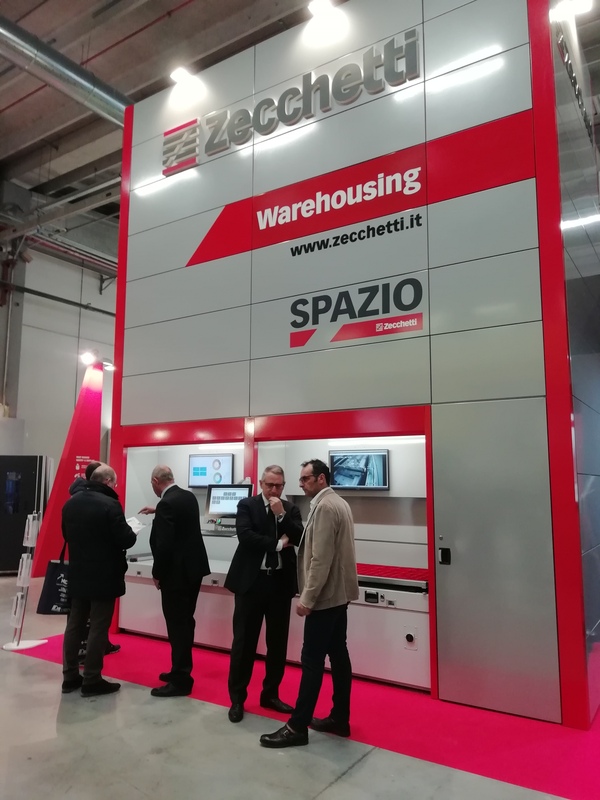 The Vertical Autoamtic Warehouse “SPAZIO®” represents the automated vertical warehouse range which, thanks to their modular structure can be “made to order” for every company. Namely from 2 to 7 modules to have the more suitable warehouse solution to employ the spaces at the best for a proper storage capacity and a higher logistic efficiency. The machine on show presents one Double Bay and trays equipped in various ways.